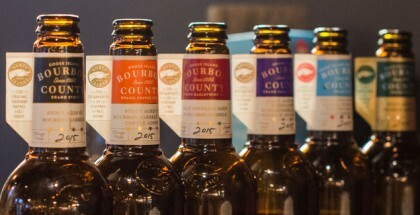 Ultimate 6er | Is BCBS Still the King of BA Beers? 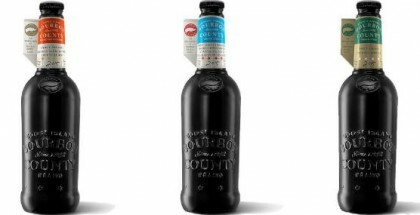 Each year, throngs of beer fans ignore industry arguments and engage in the annual Black Friday hunt for Goose Island Bourbon County Brand Stout (BCBS). It’s difficult to argue its historical significance, current popularity and quality. But, do people covet BCBS due to its quality or because of its fame? Or, is it a little of both? There’s no right answer, and there’s no judgement to be given for choosing either option. But, maybe it’s not really about choice as it is a sign that the BCBS fame can’t last forever. Maybe, what we are seeing is a slowly evolving beer revolution akin to the bloodless 1688 Glorious Revolution in England that ousted a King and forever put the government in the hands of Parliament. BCBS isn’t going away and it will likely always be revered. However, other beers might well supplant its power within the market and on social media. I couldn’t mention the likes of Firestone Walker, Great Divide, New Holland, Surly or the thousands of small breweries found throughout the nation — I have but one liver to give to science. The BCBS alternatives — true rivals — are growing at a rapid pace. Nonetheless, here are six examples from this past autumn that demonstrate how high the bar has been set regarding the art of spirit-infused BA beers (sans souring techniques). As Tristan Chan noted for PorchDrinking.com in a pre-GABF article, the two breweries each created two individual beers that were blended on the floor at various times during the Great American Beer Festival. It’s a simple recipe, really. One part Avery four-month-aged (13% ABV) Vanilla and Coffee Stout brewed with vanilla beans and Espresso roast. One part Odell Rye-Barrel-Aged (8.5% ABV) Coconut White Stout with toasted coconut, cocoa and roasted coffee. 10… 9… 8… the countdown to mixing commenced. The euphoric crowd cheered and raised their phones and cameras to capture the moment. Though crowded, the patrons found their way to get a taste a beer that proved to be silky smooth, delectable and absolutely delicious. Sometimes, it takes a moment shared with beer geeks from all over the country to truly and fully ponder the skill and artisanship achieved by a brewery and its barreling program. 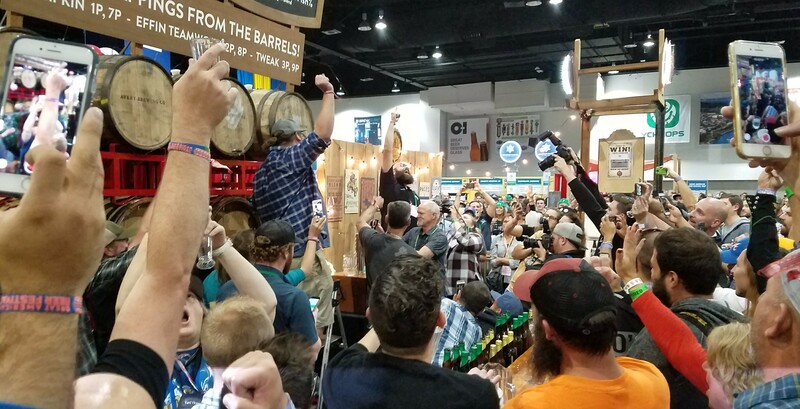 For this Chicago-based writer, the light bulb went off during a Deschutes GABF party that included 2013 Abyss & 2015 Black Butte Porter XXVII. 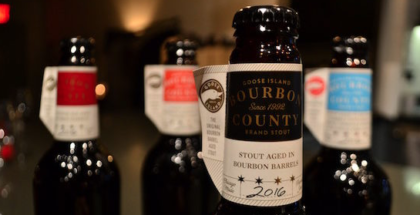 As one who’s indulged in every Bourbon County Stout offered for more than a decade, it was impossible not to compare. I’ve had both beers many times, but I found myself thinking deeply about the matter. 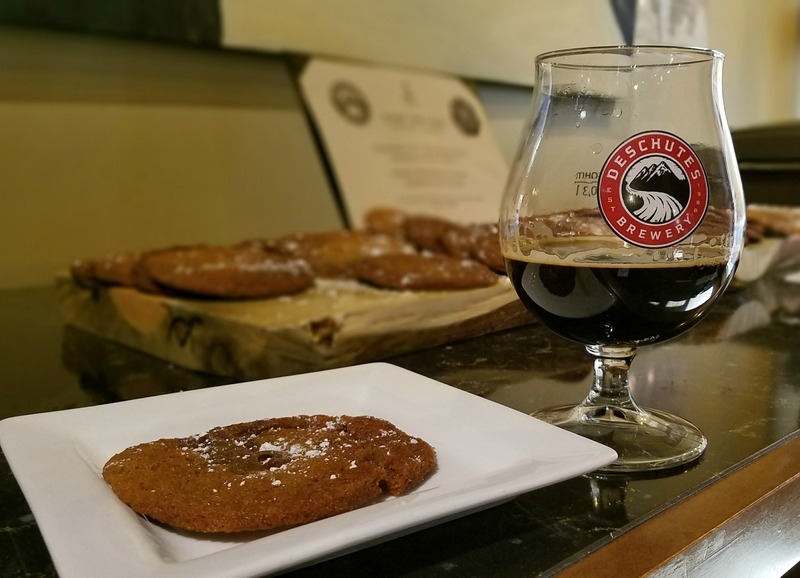 The conclusion took all of about five seconds: Deschutes is more than just a BCBS alternative, it’s worthy of it’s own Black Friday long lines. It’s almost absurd to showcase one beer at the annual Festival of Barrel Aged Beer. It’s literally an entire room full of BCBS alternatives. However, I found it compelling that one of the “Mt. Rushmore” craft breweries, known for reintroducing America to hops, now finds itself excelling in the BBA genre. (A Sierra Nevada Trip in the Woods variant won bronze at FoBAB in 2016.) 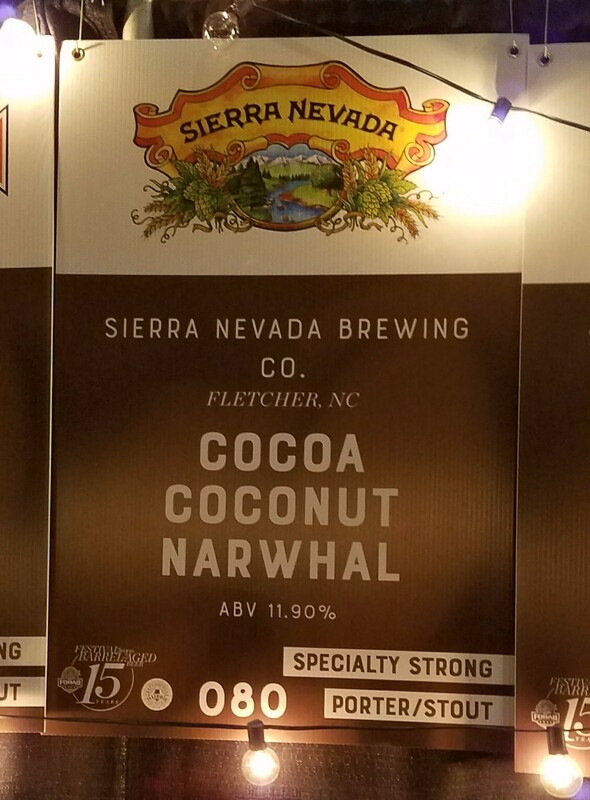 The barrel-aged cocoa coconut variant of its famed Narwhal provided further proof that one need-not stand in line for Goose. It wasn’t a BCBS alternative; it was so good I considered stealing the keg and making a run for it. I didn’t, of course, because I had a few BA beers that night which would have made it difficult to run through a crowded hall with a heavy keg. (My editor wants me to add that stealing is wrong. Sorry. That’s what I meant). Just thinking about that beer has me drooling. What a beer. If the beer world is new to you, welcome! Let me introduce you to Ten Fidy. It’s one of “those” stouts that enjoys its own name-fame. If you are a card-carrying beer geek, Ten Fidy needs little introduction (even if you don’t care for it). Like Sierra Nevada with its Narwhal, Oskar Blues felt it prudent to take its famed stout and throw it in a barrel. And, then they introduced a coffee variant. And there was much rejoicing. Also, like Narwhal and Black Butte, there’s something extra special about barrel-aging a beer that’s already coveted before it gets the oak treatment. Kinda like buying your dream house and then a few years later you find a secret room filled with gold… and a Ferrari. Score. I planned on including my picture in this section, but fellow Porchdrinking.com writer, the California-based Krisstin, pretty much summed up the popularity of this beer eloquently with one IG post (note the caption). 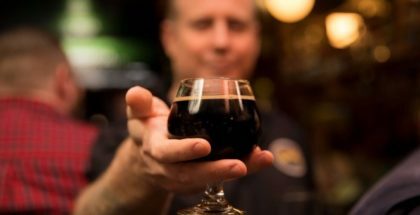 Each year, KBS emerges from the caves found underneath Founders’ brewery and that unearthing of fermentation is met with enthusiasm and excitement comparable to the fanfare associated with BCBS. And then there’s CBS. Taylor Laabs—who also lives in Chicago—found himself as the point man on the CBS story (an assignment I’m sure he did not mind tackling). Here is his story. Indeed. The oft-reviewed; oft-photographed; oft-shared; and oft-rated Founders CBS has achieved “beer darling” status in 2017. Even Chicago-area beer fans are probably wondering why I am discussing BCBS alternatives without mentioning Revolution, Half Acre, Begyle, Hailstorm’s Vlad Series or the Chicago Craft Beer Week’s “Beer Under Glass” long-line-inducing Imperial Oak Quiet Giant. It’s not the “name” that matters in 2017. It’s not the label. It’s the liquid. And stellar liquid exists in more places than you realize. Yes, Avery, Founders and Oskar Blues have the ability to make national waves with its beer, as does Goose Island. But, your local brewer down the street knows what he or she is doing, too. Trust me. 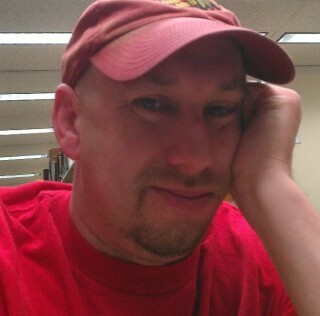 What’s astounding about my own conclusion is that this was also my favorite BBA year. I had at least ten blow-me-away BBA (Rye-BA, Rum-BA, etc) beers this year from breweries near and far, including Goose Island Prop, which I freely admit to loving. But, dammit if Crystal Lake didn’t knock me off my bar stool with its 2015 Rye BA Stout (and the rest of the Boathouse Reserve Series, too). The sublime balance between the spicy rye notes and the sweetness of the stout (aided by the whiskey) along with a kiss of oak… Wow!